NEWARK, NJ – One of the most promising and welcome aspects of any conversation about New Jersey multi-family real estate has got to be the localness of it all. No matter how big or brassy the high rises across the Garden State get, you can’t get too deep into a discussion without touching upon one of the local families who have been instrumental in creating the skyline of today. And more often than not, the stories of those families start off twenty years ago or more. 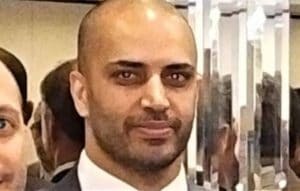 That’s why CapRE invited Vivek Singh, Principal at Singh Properties to the New Jersey Apartment Summit and asked him to share how his family’s firm got to where it is today, as well as where they came from. Below are three statements that CapRE posed to Vivek, asking him whether he believed they were true or false, and why. CapRE: #1 – It’s a great time to buy multi-family properties in Jersey City. Singh: False. I think you have several types of multi-family in Jersey City – from the 2-4 family market to new construction, and you have rent-controlled assets, which are existing 5-units and above properties, and it’s a heavily regulated market. It’s heavily regulated at the municipal level and at the state level. you need a level of sophistication. The price per unit on 2-4 families, I think, is probably at its height. I think the revaluation has affected a lot of people who have been managing their taxes very aggressively in a very negative way. You’re starting to see some of those properties come on the market, but prices are still high. So you don’t see a lot of opportunity in that market. And on the rent-control side, those assets, unless there’s a bill to enact vacancy de-control, those assets will take a long time to prove. Because there’s not an incredible upside on the rent. So Bayonne was successful in enacting vacancy de-control. They don’t seem to have any negative effects from that, so we’re hoping that jersey at some point can also do that. CapRE: #2 – There is so much demand in Jersey City – people moving in – that I don’t expect an over-supply. Singh: That’s true and false. I think for the skyscraper developments, from what we have heard from the broker community, I don’t know that there is enough of an influx from the surrounding communities in Jersey City, to keep all of those buildings full, so they tend to cannibalize their own renters. I think for the in-fill properties, there is not over-supply. A lot of those folks might be re-developing their properties. But I think that for the most part there is still enough of the demand to keep a high occupancy rate in the in-fill properties. 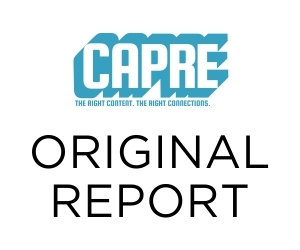 CapRE: #3 – 2018 was a great year for the rental market and 2019 will be stronger. Singh: Again, that’s false. I think rents have been flat over the last two to three years. We’re competing aggressively to keep our buildings fully occupied with low vacancy rates. tenants are demanding more amenities. I think that one of the great things is that, as more of these large-scale developments come into these sub-markets, they are attracting a better tenant population, and that is then forcing the in-fill property owners to renovate and rehab their properties.